Sell Your House Fast In Sun City! 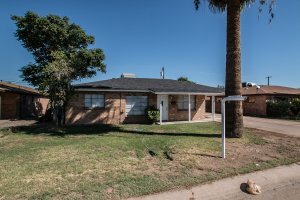 We Buy Houses In Sun City and Throughout Arizona! Do You Need To Sell Your House Fast For Cash? We Can Help. We Buy Properties Anywhere In The Sun City Area. Check Out How Our Process Works. We’re Ready To Give You A Fair Offer For Your House. Need to sell your house fast? We are the local “We Buy Houses In Sun City Arizona” company. If you want to sell your Sun City home for any reason, we will make you a fair no-obligation all-cash offer. We even pay all closings costs. We purchase homes in Sun City and the surrounding areas. Do You Want To Sell Your House In Sun City? Sell your Sun City house to us and see why so many homeowners leave positive reviews after they do business with us. We buy houses in Sun City, Sun City West and Sun City Grand. In addition, we purchase houses fast in any of the other Metro Phoenix areas. Although we have licensed Realtors on our team, we are not interested in listing your house on the MLS and trying to find you a buyer. We are interested in buying your house fast, as-is, with no financing or inspection contingencies. We believe in our communities and try to make them better by the day. We will buy your house no matter the location, condition, or price. We have purchased single family houses and also mid-size apartment communities. We are not the middleman like many other local so-called investors. We are the actual cash buyers of the house and will not have any contingencies for inspections or appraisals when we provide you an offer. Don’t sit around and wonder “who will buy my Sun City House for cash?” Give us a call and use our experience to achieve your goal of selling your house. By selling to a professional house buyers like us, you will avoid the unnecessary closing costs, commissions, fees, contingencies and holding costs associated with listing your Sun City house with a Realtor. By selling your house to us, you will avoid the stress of selling, renting storage units or moving out before your house has closed. Ask us how we can purchase your house and let you stay in it for some time.